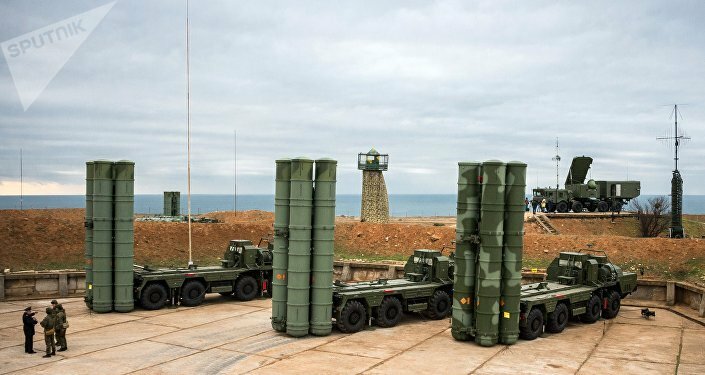 Turkey has remained committed to the acquisition of Russian S-400 air defence systems despite US threats to impose sanctions on Ankara or freeze the sale of American-built F-35 fighter jets. The Russian-made S-400s purchased by Turkey would first be deployed at the Mürted Air Base, formerly known as Akinci Air Base, located northwest of Ankara, Yeni Safak reported, citing military sources. According to the media outlet, the base will become the main centre for the dispatch of Russian air defences, but later the S-400s may be moved to other regions. In addition, the Ministry of National Defence and the General Staff are planning to send a delegation of 100 people to Azerbaijan to examine S-300 PMU2 missile defence systems this year, before heading to Russia where Turkish troops will be trained to operate the S-400s ahead of the system’s deployment by October. Ankara and Moscow inked a $2.5 billion contract on the delivery of four battalion sets of S-400s to Turkey in 2017 in a move that’s been strongly criticised by the United States. Washington has pressured Ankara to abandon the deal with Russia, offering as an alternative its Patriot air defence systems. Turkey has, however, turned down the $3.5 billion offer, saying that it may buy US-made systems in the future, but refused to cancel the S-400 purchase as a precondition. In response, Pentagon spokesperson Charlie Summers warned Turkey of “grave consequences” in terms of military relationship with the United States and threatened with depriving Ankara of US-built F-35 fighter jets. Shortly after, Turkish President Recep Tayyip Erdogan hit back by saying that the S-400s were not connected to the “security of NATO, the United States, or the F-35 in any way”. Washington has consistently threatened to impose sanctions on Ankara under the Countering America’s Adversaries Through Sanctions Act (CAATSA), a 2017 law adopted in response to Russia’s alleged meddling in the 2016 US election, if Turkey went ahead with the S-400 acquisition. The US has been concerned over the fact that Ankara’s purchase of Russian S-400s along with F-35s might provide Russian experts with key insights into sensitive information related to the fighter jet’s technology.